“My Natural Cats” is a 352-page glossy paperback book guiding you on how to provide holistic care for cats, with a foreword by Anna Gardner MA Vet MB. An excellent gift for the person with cats you want to help educate. 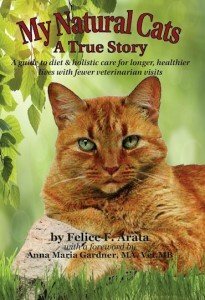 A feline book filled with true stories of Felice´s cats from the days they started on homeopathy care and raw diets. 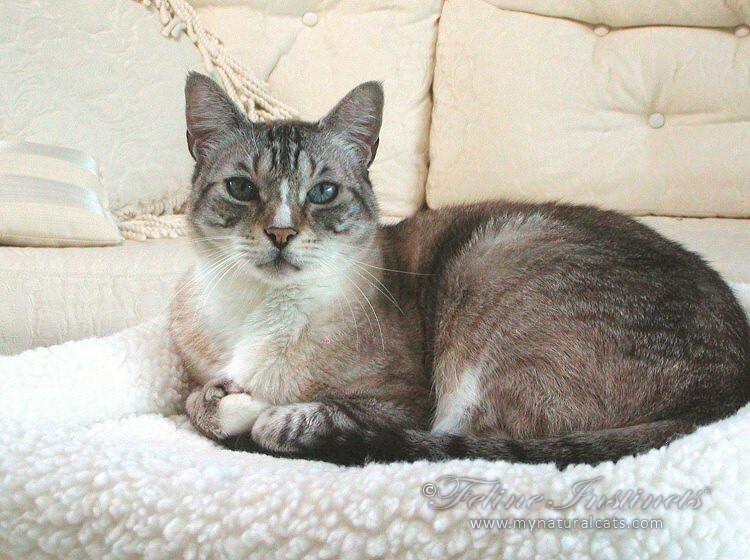 Felice gives many tips and information on cats´ health, aging and even an extensive explanation on how to read blood work, vet tips on various issues and some funny stories of her cats when they ruled the house like cats are born to do. Also, a foreword by Dr Anna Gardner. “In keeping with her business name of “Feline Instincts”, Felice has a natural understanding of cats. In her book “My Natural Cats” she shares her expertise and commitment to improving the lives of our feline friends naturally, which in turn brings joy to us all. ” – Maya White, Astrologer and Author – www.mayawhite.com Helping businesses and people find their best place for success. could have never even been a whisper of a thought.